Alright! The prologue to Nyroth is published at last. My apologies for the delay, not only in getting this lore update out but in getting this arc going generally. The publication of the prologue, together with the first interactive lore event, marks the “real” start of this arc. Things are about to get a lot more intense. In tandem with the prologue, we’re initiating a simple interactive lore event. 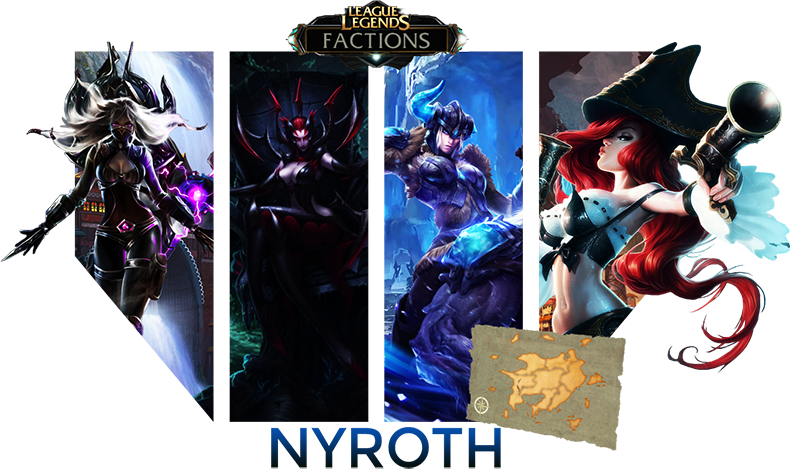 The main purpose of this event is to give each faction a free Secondary Champion pickup, as partial compensation for the delay in getting this arc going. After this, Champion pickups will be handled through World Systems. On that note, tomorrow my first priority (well, I mean, my first Factions priority) will be going through the World Systems and doing some final revisions.